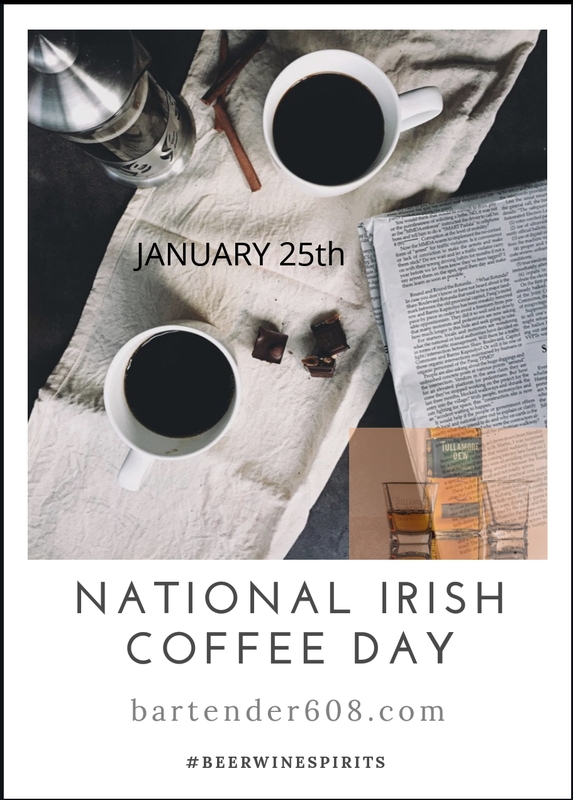 January 25th is National Irish Coffee Day! — Bartender 608 Intoxicologists & Cocktail Caterers, LLC. January 25th is National Irish Coffee Day! #IrishCoffee = #blackcoffee, #sugar, #IrishWhiskey, and #whippedcream. Said to be invented in 1942 by a Bartender named Mr. Joe Sheridan at Foynes Airbase in Ireland.